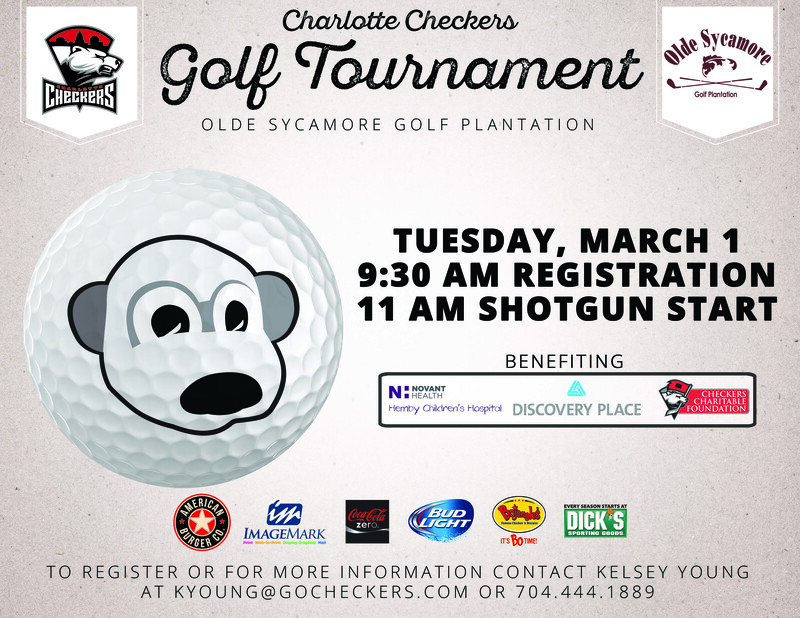 Registration is now open for the Charlotte Checkers’ golf tournament on Tuesday, March 1, at Olde Sycamore Golf Plantation. All proceeds benefit Novant Health Hemby Children’s Hospital, Discovery Place and the Checkers Charitable Foundation. 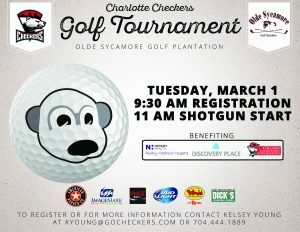 Teams will consist of five golfers and a Checkers player with registration costs of $200 per golfer or $850 per team.